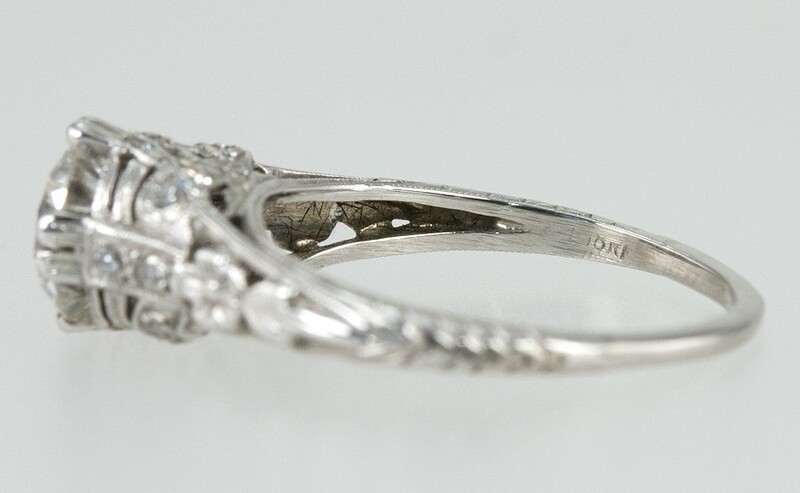 This ring has bows, swags and flowers! 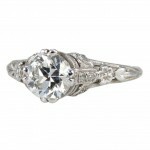 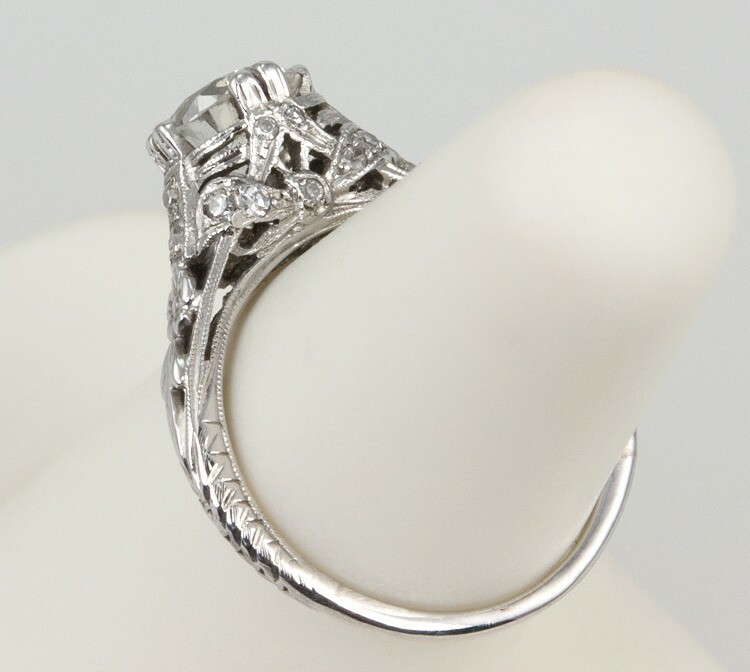 All in 18 karat white gold and diamonds, does it get any better? 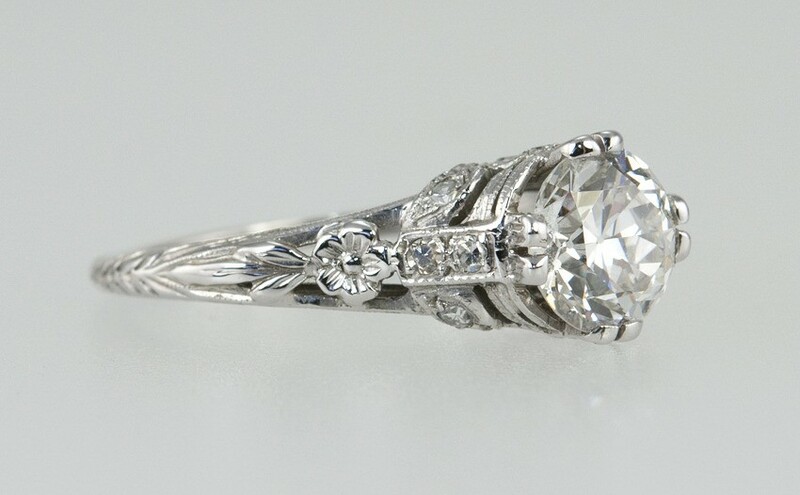 The center Old European Cut diamond is 1.19 carats and G in color and VS1 in clarity (per EGL certificate) and the sides are highly engraved. 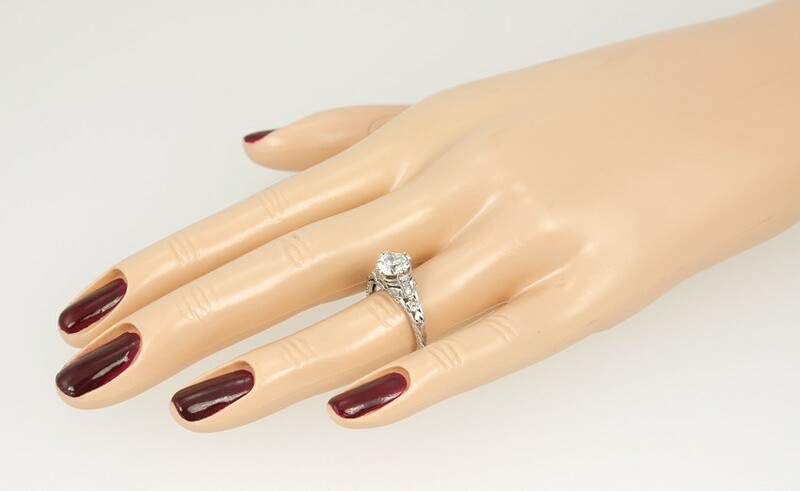 This ring is currently a US size 6 and easily adjustable. 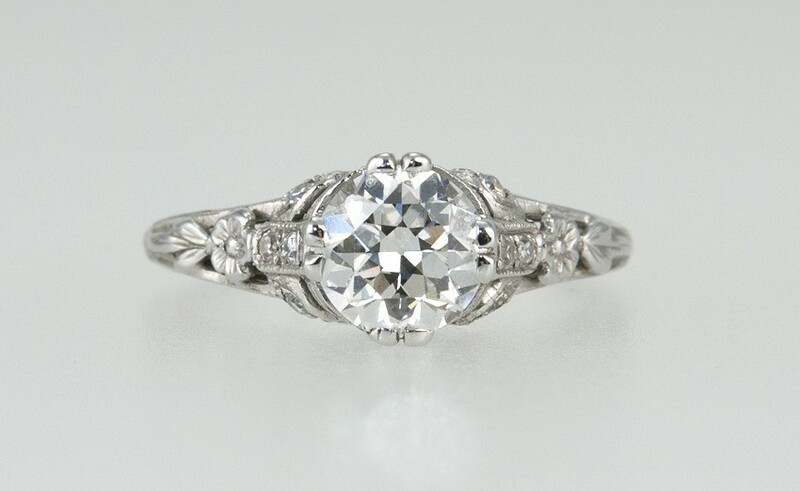 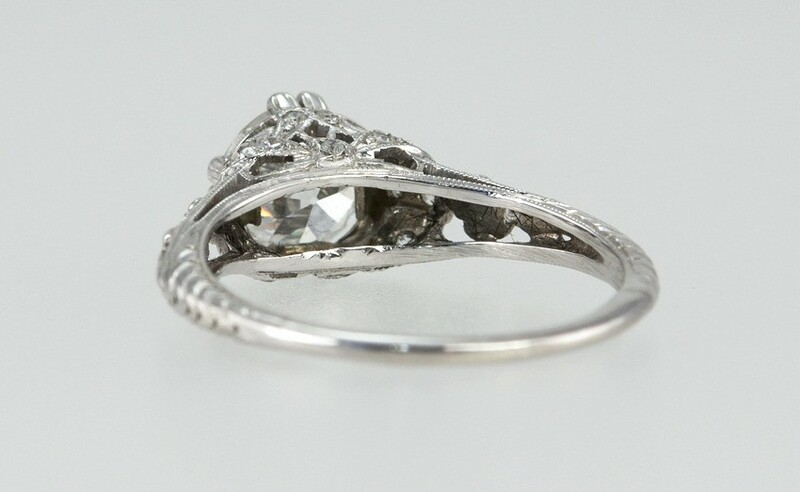 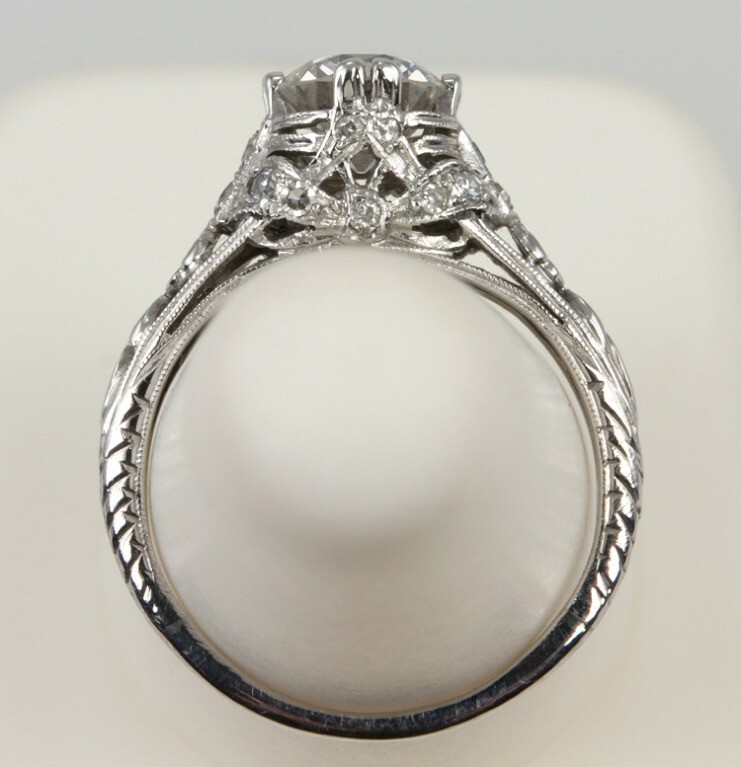 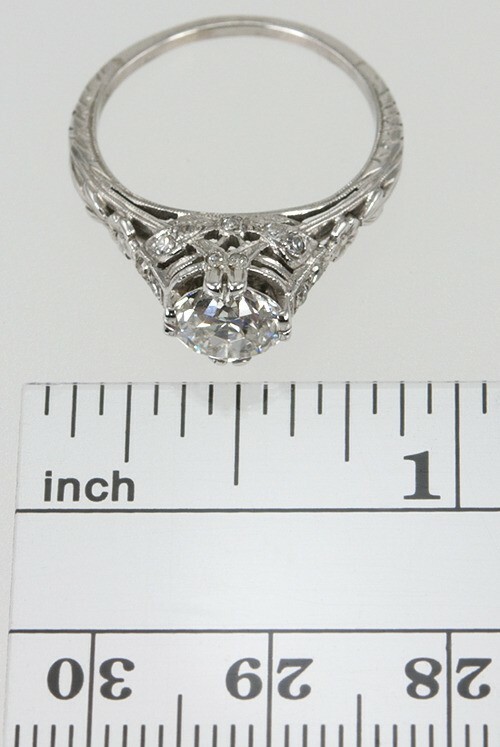 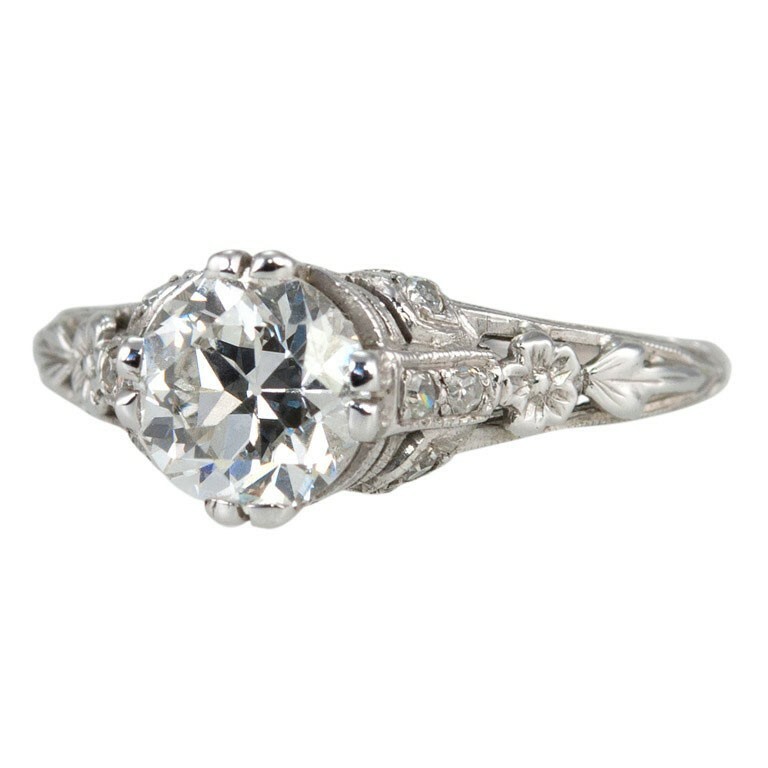 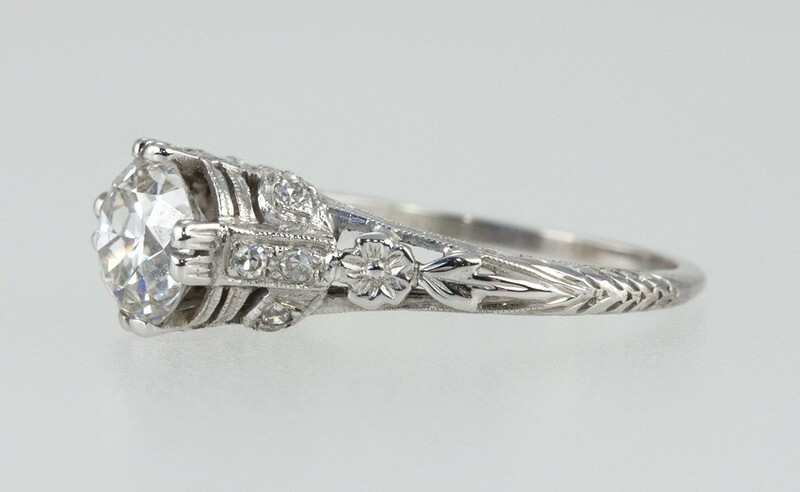 The depth of the ring is approximately 0.32 inches (measured from off the finger to the top of the ring).